A Cedar Bluffs, Nebraska native, Dr. Beacom has practiced medicine in Fremont for 9 years. He earned a B.S. in Biological Sciences from the University of Nebraska at Lincoln. He then studied for his M.D. at the University of Nebraska Medical Center, followed by a residency in family medicine. Dr. Beacom is board certified by the American Academy of Family Physicians, and is also a Diplomat of the National Board of Medical Examiners. In addition to his clinic practice, Dr. Beacom has been on faculty at UNMC since 2001 and participates in overseas medical mission trips as a medical student mentor. He is also the medical director for Three Rivers Public Health, two fire departments and a national hospice agency. Dr. Beacom has a keen interest in clinical research, and has been an investigator for more than 30 clinical research trials for companies such as Novartis, Pfizer, Glaxo Wellcome, Bristol Myers Squibb, sanofi-aventis, Bayer, Daiichi-Sankyo, Forest, and Boehringer Ingelheim. He frequently speaks both locally and internationally on topics such as wellness, heart disease, teenage high risk behaviors, and bariatric surgery. In 2001, he founded Combining Agricultural Safety and Health, a nonprofit service promoting health and safety in rural Nebraska. Among numerous honors and awards, Dr. Beacom was recently designated an Admiral in The Great Navy of the State of Nebraska by Governor Heineman. 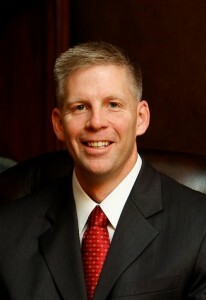 He was also the Nebraska Medical Association’s Young Physician of the Year in 2009, a hall of fame inductee at Cedar Bluffs High School in 2009, the Volunteer Newcomer of the Year at the University of Nebraska at Omaha in 2010, and the Daughters of the American Revolution Community Service Award for 2010. Dr. Beacom and his wife, Carrie, have five children.